This is a complete tutorial which will show you how to jailbreak iOS 4.2.1, 4.2, 4.1 on iPhone 4, 3GS, 3G, iPod Touch 4G, 3G, 2G and iPad using RedSn0w. WARNING: If you rely on your iPhone to be unlocked, to use it on an unofficial carrier, you should avoid this jailbreak. This jailbreak requires you to upgrade your firmware, via iTunes, which upgrades your baseband. The current baseband cannot be unlocked at this time, and cannot be downgraded. Use PwnageTool. This also requires the new version of iTunes 10.1 to install 4.2 (4.2.1). 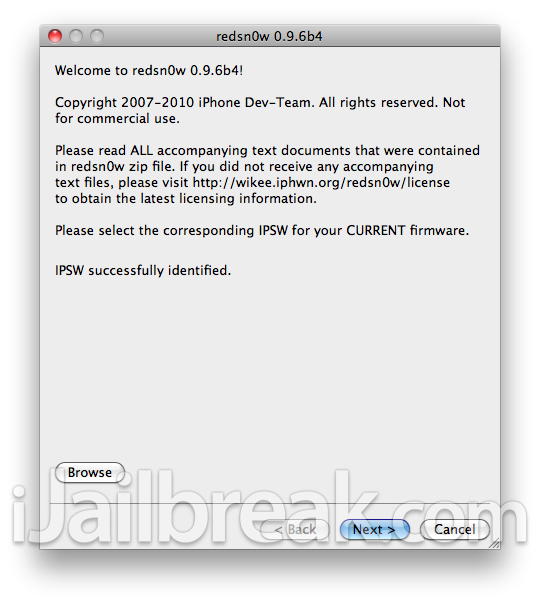 Update #1: iOS 4.2 GM was released to developers this week and it seems like it can be jailbroken with the current version of RedSnow. Update #2: iOS 4.2.1 GM is now available and can also be jailbroken with RedSn0w. Update #3: You can jailbreak iOS 4.2.1 untethered using RedSn0w 0.9.7b4. Update #4: You can now jailbreak and update your iPhone 3GS, 3G to unlock iOS 4.2.1 on baseband 06.15.00 with RedSn0w 0.9.6b5. 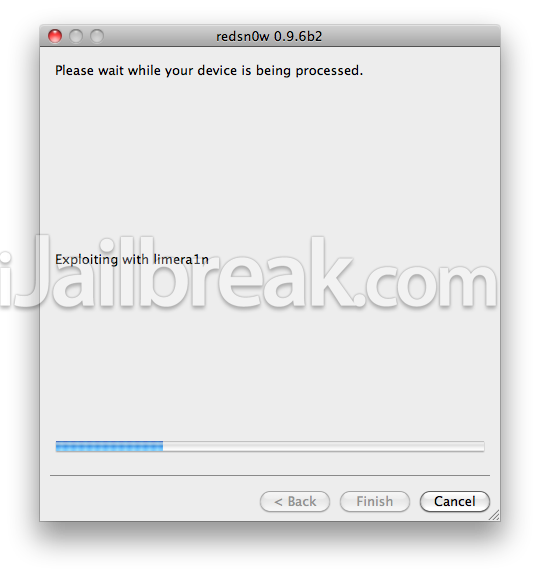 Step 1: Download iOS 4.2.1, 4.2 or 4.1 and RedSn0w from the iJailbreak Downloads Section. Step 2: Upgrade/Restore to iOS 4.2.1 via iTunes 10.1 (iPhone users: iOS 4.2.1 will update your baseband which is NOT unlockable right now). Step 3: Launch RedSn0w and find your way to iOS 4.2.1 and click “Open”. Step 4: Select “Install Cydia” and click “Next“. You can also select the optional choices if you like (read Step 7 for how to boot tethered iDevice). Note: Make sure your device is both OFF and PLUGGED IN to the computer. 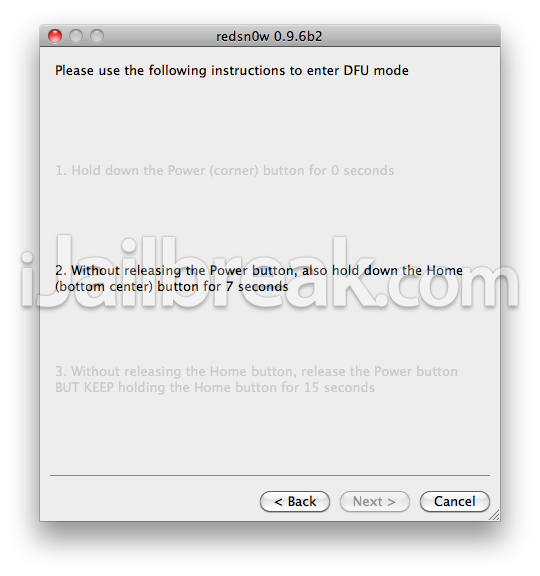 Step 6: Now sit back and relax while Redsnow does the thing it does best, jailbreak your iOS Device. After the process is complete, your device will reboot and you now have a jailbroken iOS 4.2.1 iOS device. Step 7: How to boot tethered jailbroken iDevice (iPhone 4, 3GS (New Bootrom), iPod Touch 4G/3G/2G (MC), iPad) after reboot, select “Just boot tethered right now”. If you have any questions, concerns or issues just leave a message in the comments. ok, got ya, dumb question,,,,now can i restore from backup so i get all my phone numbers/apps/and crap??? its not working. i found the firmware but it just takes me to dfu which is an empty foler. what am i doing wring? agree with Malorie1…Cydia is a blank square which blinks once and return to homescreen! guys help me pls… i cant get a network signal.. pls help!! thx so much!! finally, i could jailbreak my 3g myself!! i had successfully jailbreak of my iphone 3g 4.2.1 ios with redsn0w_win_0.9.6rc19 by adding iPhone1,2_4.2.1_8C148_Restore.jsp. when i am looking for my i phone under desktop i can’t find it. what worked for me is recovery mode, try holding power button and home button until the apple logo comes on.